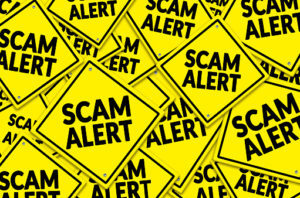 A recent study completed by Wells Fargo found that one out of every six older Americans knew that their financial documents are out of date. Many individuals put off these tasks because they assume a lack of urgency and that it is not important to deal with right away. 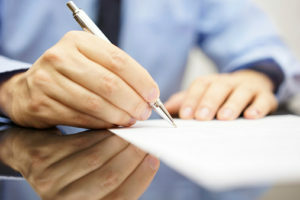 However, any time that you get prompts from a technology platform, an estate planning attorney or a financial advisor showing that your accounts may need to be updated, this is a good opportunity to review and verify that all of your beneficiary information and other planning tools are in line what you intend to accomplish. Furthermore, if you’ve done your estate planning but haven’t explained your goals and intentions to your family, this is another way that you can be exposed to problems. Not talking about your money will avoid you making a plan for what would happen if you were to become unable to handle your financial affairs. This is particularly problematic in the event that you develop dementia or another cognitive problem later on. You want to have these wishes articulated clearly and communicated to key stakeholders so that you can avoid the possibility of problems in the future. Make sure that you talk over what you want your plan to include with your lawyer and then make a strategy for informing loved ones. There are four critical things you can do to avoid financial procrastination, which can endanger your own future and that of your beneficiaries as well. According to research, Americans pay a price for procrastinating on their financial concerns, but many put these issues off anyways. There are missed financial opportunities abound, whether it’s failing to put together a will, not having enough money in the emergency fund or getting a late start on retirement planning. 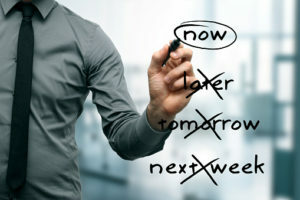 Many people know that they ultimately need to take action and plan on doing something someday, and Americans can delay for a broad number of different types of reasons, including the effort involved, the amount of knowledge required just to make these critical decisions, or the fact that many people feel paralyzed about the possibility of making mistakes. Many people also underestimate the importance of future consequences when making decisions and people prefer to spend now rather than save for the future. All of these issues can easily be avoided by networking with experienced professionals in the field who can give you a better sense of what is involved in protecting your future and how to avoid many of the most common mistakes. In light of the new estate and tax law changes that have come into place, many people are thinking about the benefits of adjusting their estate plan. 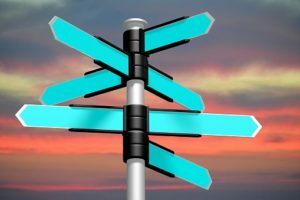 It’s worth a review sitting down with an experienced estate planning attorney to talk through the advantages of adjusting your current strategies. Regular revisions are smart planning, and they ensure that if something happens to you suddenly that you have plans in place to respond and put your loved ones at ease. · Setting up guardianship for your children if you have not done so. · Financial and administrative management of your affairs if something were to happen to you, including a disability or sudden incapacity. · Disposing of your assets, whether it’s through a will or irrevocable trust. · Ancillary documents, such as your health care directives, a general durable power of attorney over financial matters, and a health care proxy. · Using trust to provide you with varying degrees of protection against creditors, predators and divorce. All of these various benefits can be achieved by sitting down with an estate planning attorney and walking through the current strategies and documents you have in place to verify whether or not they are in line with what you intend to accomplish. Unfortunately, experienced estate planning attorneys say there’s a high percentage of clients who have recurring mistakes in their strategy. If you haven’t had your plan updated in the last three years or if you’ve never visited with an estate planning attorney, you might not even have a will. If you do have a will, it is highly likely that the will does not fully protect you as you intended that it might. Relying on a will alone is not enough. A complete estate plan must include numerous different documents that address your concerns prior to you passing away, such as an advanced medical directive and a power of attorney. These documents can enable one or more agents to make decisions and take particular actions associated with your assets or medical care when you are no longer able to do so. Unfortunately, when many people skip out on this process, the actions are only taken after a court appoints a guardian to act on your behalf and it could be someone that you didn’t intend to serve in this role. Some people believe that there’s no rush to execute these critical estate planning documents but that is a myth. A sudden event such as a stroke or a heart attack could cause someone to need a power of attorney document and advance medical directive. Once an event like this happens, it is too late to put together the necessary documentation for legal purposes. This is why it is recommended to have it well in advance, even before you think you need it with a MA estate planning attorney. 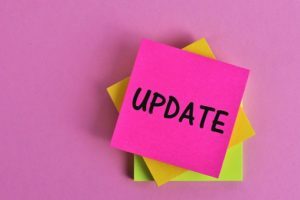 Estate planning is never a once and done process and nothing highlights this more than someone who has failed to update their materials after a major change in their life. Your estate plan should always be reevaluated with any significant life changes such as divorce, a new marriage, births or other developments. Updating your will should always be a priority. All of your documents including your life insurance policies and your wills should be evaluated carefully after these major events. If you fail to do this, for example, after a divorce, your spouse still could maintain the legal ability to make decisions on your behalf or may even inherit assets you did not intend for them to have. Estate planning is your set of legal documents that spells out who gets your assets when you die as well as who is responsible for making critical medical decisions and financial decisions on your behalf if you are unable to do so. Ideally, your estate plan will make things easier for your heirs if you suddenly pass away but your contingent beneficiaries on life insurance policies, retirement benefits and more, all need to be updated when you have big changes in your life, especially if your current spouse passes away. Divorce and the birth of a child are other major life events that should prompt you to update your estate planning materials with a lawyer. A recent study completed by Accenture estimates that between $1 trillion and $3 trillion will be transferred to beneficiaries each year through 2050. Many people, however, may not be equipped with the appropriate way to handle such an inheritance. People may be questioning what they should do next after their life has been significantly changed. There are emotional considerations to factor in as well since this is different from a winning lottery ticket and that the gift has been handed to you by someone who is no longer around. Many families have conflicts about how the money should be spent. Fights with siblings can lead to future problems. To avoid family conflicts, intergenerational meetings can be held prior to someone passing away in which a parent articulates their final wishes. This allows advisors to be the person intervening in family strife and minimizing conflicts after the fact. •	Safety, such as insurance, personal transportation, medical expenses and home repair. •	Fun, like dinners and vacations. 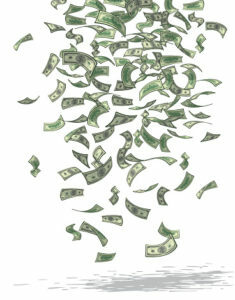 •	Future, such as money that will be untouched for a minimum of five years in investments. •	Cushion or cash for true emergencies. Another optional category for some people may include gifting to charity. Talk to an estate planning lawyer to figure out what’s right for you. Might You Unexpectedly Become Your Parents’ Caretaker? Far too many families avoid talking about the process of estate planning and many people don’t even have a basic will. Problems may emerge when people are suddenly thrust into a position of managing someone’s care or organization of documents after an incapacitating event or death. Far too many people don’t realize that they are anticipated to be the primary caregiver for their aging parents. Taking care of parents in old age can be an unexpected surprise that interrupts your savings. A recent study completed by Bay Alarm Medical showed that 55% of parents anticipate that their children will be the ones caring for them. 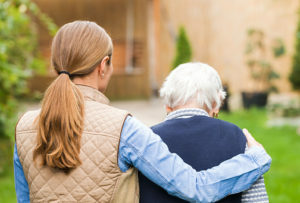 This could lead parents to avoid taking on critical planning opportunities such as purchasing long term care insurance, relying on children instead. But an adult child who does not know that he or she is going to be asked to step into this role will have significant disruptions in their life. These parents anticipate that their adult children will take care of them financially and physically. 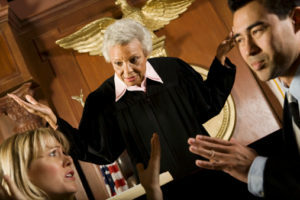 In certain areas of the United States, adult children were less likely to realize that they were the ones responsible to step in in this role. For example, in the Midwest, only 36% of adult children anticipated that they would be the ones caring for their aging parents. Sitting down and talking through these difficult topics with your loved ones can make it much easier to navigate problematic situations as they emerge. An estate planning lawyer can help you accomplish your own estate planning and see what options are available for helping your aging parents. Is Medicaid Your Only Source of Payment for Long Term Care Planning? As many people approach the subject of estate planning, they put together critical documents to pass on their assets after they pass away. However, they may neglect the necessary planning tools and insurance policies that could be used for long term care planning. 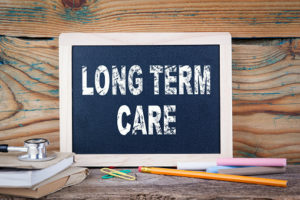 Considering the possible need for long term care is something that everyone in the United States could benefit from. However, for many people, Medicaid may be their only source of payment. Medicaid qualification is required, which means that many or most of the person’s assets will be lost during life or after death if they don’t take advance planning opportunities. Decisions must be made early regarding the transfer of your assets in order to avoid triggering the Medicaid look-back provision. Decisions regarding asset transfers are never easy and should always be discussed directly with an experienced estate planning lawyer. Many people can anticipate experiencing some form of mental or physical decline and needing assistance in the form of long term care. Right now, 40 million individuals are over age 65 and one-quarter of those are expected to live beyond 90. 10% are anticipated to live beyond 95. This makes the importance of estate planning and long-term care planning something that everyone should carefully consider. James Brown passed away on Christmas Day in 2006 and yet disputes surrounding the settlement of his estate are still winding their way through the courts. Numerous different individuals have come forward to file disputes ranging from whether or not his widow may have truly been his wife and whether any copyrights for his songs were included in what some allege are illegal backroom agreements. Several suits have also been brought forward by people who can test the will and won by a person who thought they should have been appointed as the estate’s trustee. James Brown’s will had $2 million set aside to underwrite scholarships for his grandchildren and to distribute his household effects and costumes to the six children he recognized before he passed away. However, after the will was challenged, the initial attorney recommended a settlement that was ultimately overturned by the Supreme Court. In that proposed settlement, the grandchildren and children would have received a quarter of the estate and the widower would receive another quarter. The Supreme Court however, felt that this involved a dismemberment of the estate plan that James Brown put together. The value of the estate itself is also currently in contention. Some believe that it is less than $5 million but others have given estimates that all of the materials included in the estate and his assets articulated clearly in the will could be worth more than $100 million. The bulk of the value comes from the copyrights that he owned as the songwriter. If you would like to avoid challenges in your estate and give your family a clear plan for how to protect your assets in the future, set up a consultation with an experienced estate planning lawyer.